Hey guys :) If you follow my blog, you might remember from my Femme Fatale post that I picked this polish up from the international clearance on Femme Fatale's website. I was pretty lucky to snag this one, it sold out pretty fast - probably in part because its not available internationally normally, though I believe Llarowe will be stocking them very soon. 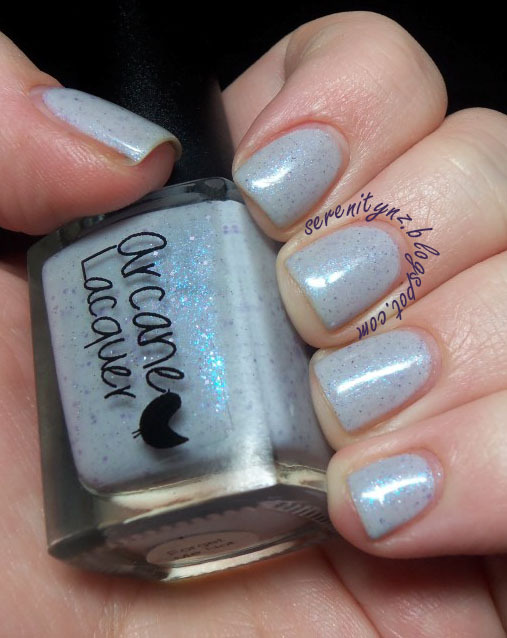 Arcane Lacquer is an Australian indie brand from Bec of NailGunXS. The polishes are 12ml and come in the standard Aussie indie bottle (the same as Emily de Molly, Femme Fatale, Gloss n Sparkle). 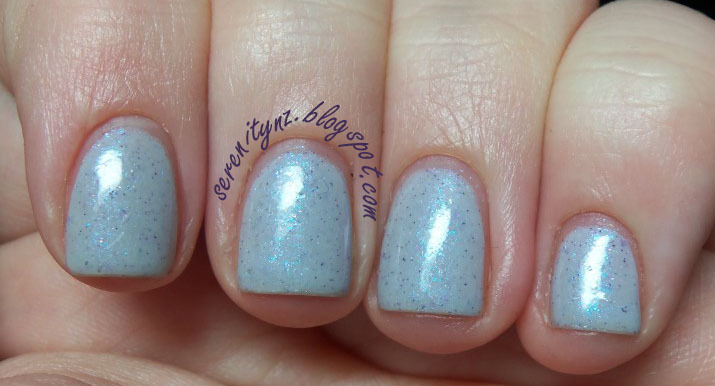 'Forget Me Not' is a light grey crelly filled with lavender flakies and micro glitters. I love how delicate this polish is, its got a gorgeous blue/pink shimmer. The formula was great too - it applied nice and smoothly, but is quite sheer so you do need to do 3 coats for full opacity.